Royal Baby Sweden is a boy. 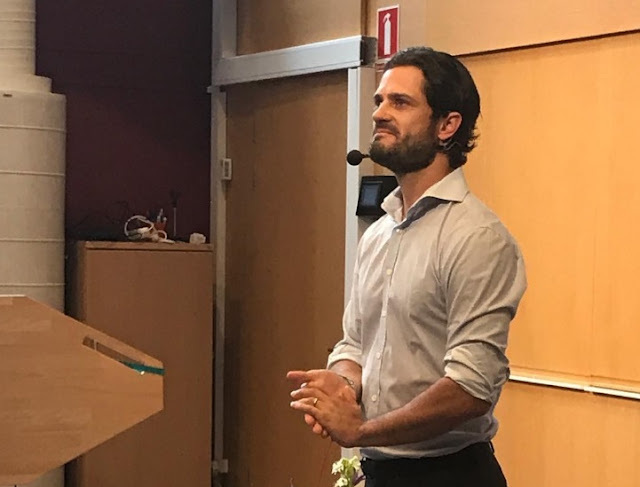 The announcement was made by proud dad, Prince Carl Philip, at a press conference at Danderyd Hospital where his son was born earlier today. The baby, a second child for the prince and his wife Princess Sofia, weighed 3.4kg (7lbs 7oz) and measured 49cm. Sweden has a new royal baby. Princess Sofia has given birth to her second child. The new sixth in line to the throne was born on August 31st 2017 at 11.24am local time at the Danderyd Hospital. Mother and baby are well. A happy beginning to a new royal chapter. 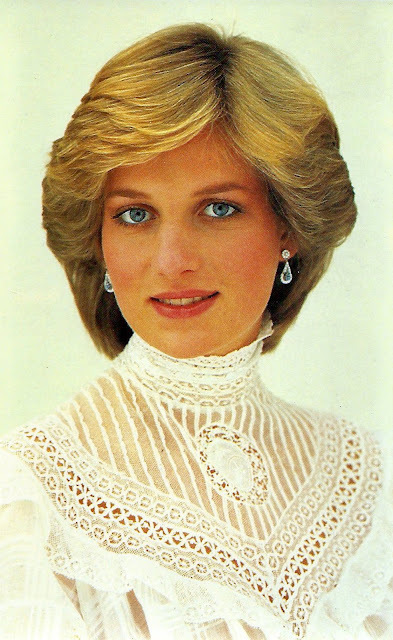 Diana, Princess of Wales died twenty years ago today. Fatally injured in a car accident in the Pont de l'Alma tunnel in Paris just after 12.20am on August 31st 1997, she died in Pitie-Salpetriere Hospital around 4am. Twenty years on, many tributes have been paid and many memories shared. The princess continues to fascinate and will for many years to come. An integral part of the House of Windsor, her life and her death changed it forever. Twenty years on, the world still remembers Diana, Princess of Wales. Twenty years ago this week, two young princes stood and contemplated the flowers left in memory of the mother they had lost. Two decades on, they did the same. The sight of William and Harry looking at tributes left in memory of Diana, Princess of Wales as the twentieth anniversary of her death approaches is perhaps the moment we will all take away from the sea of remembrances that have marked this summer. Twenty years on, they remain forever her boys. 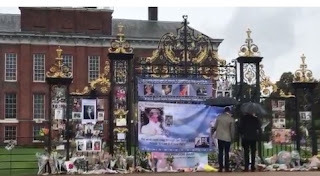 Diana has dominated the royal summer and with just a day to go until the 20th anniversary of her death, flowers and tributes are already being laid at Kensington Palace. The gates of her London home were the focal point for national grief in 1997. Today, they are filled again with fond memories of a princess gone but not forgotten. Here's to a new school year. 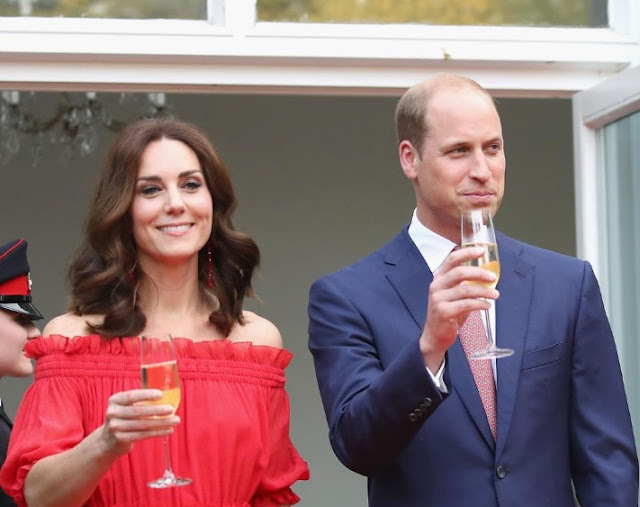 As they prepare to send their first born off to classes for the first time, the Duke and Duchess of Cambridge are also renewing their diaries as Kensington Palace announces the first engagements after the summer. And perhaps with good cause. The latest royal work stats, compiled by the Press Association show that William and Kate are really playing catch up when it comes to work in 2017. Royal brides wear tiaras, we all know that to be true. And if you're hubby is a) a ruling sovereign or b) quite likely to end up as one then a diadem is all but compulsory. However, several very important royal brides have bucked that trend including one who celebrates her 49th wedding anniversary today and walked down the aisle with only flowers in her hair. Here are five famous royal consorts who didn't wear tiaras to their weddings. 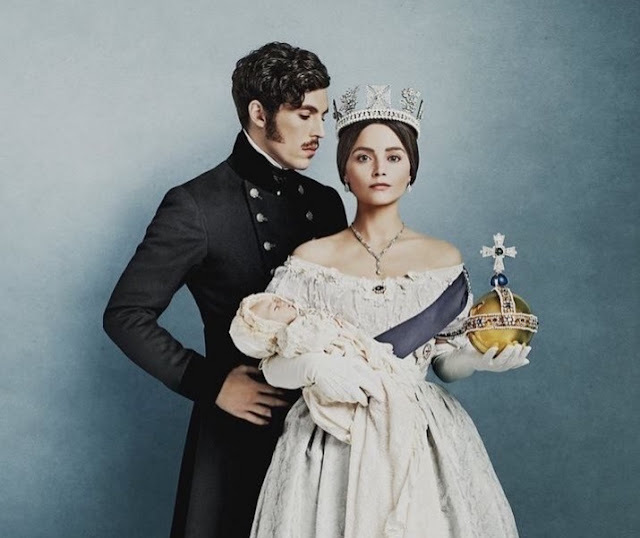 Victoria swept back on to our screens in all its chocolate box glory last night and left a rather sweet taste in its wake. 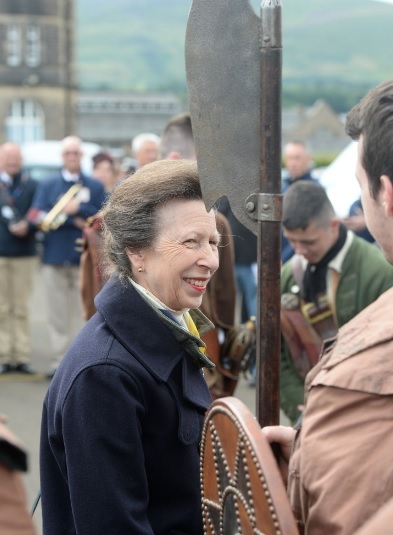 The ITV series, telling the story of Britain's second longest reigning monarch, returned with plenty of passion and pizzazz to earn its place in the autumn viewing schedules. It might be created firmly in the tradition of Sunday night drama, Upstairs Downstairs with crowns, but why tamper with a formula that works? 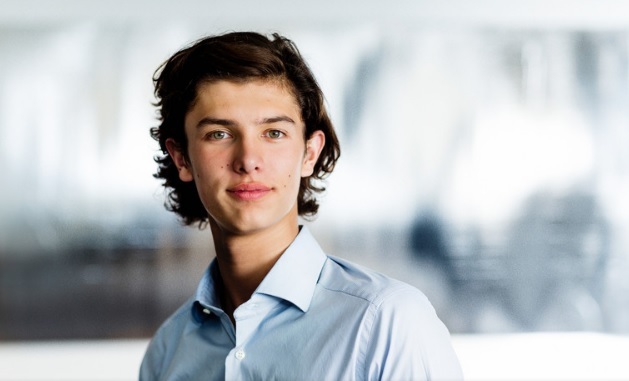 Prince Nikolai of Denmark celebrates his 18th birthday today and as well as the usual official photographs and now customary social media posts, there is another consideration. 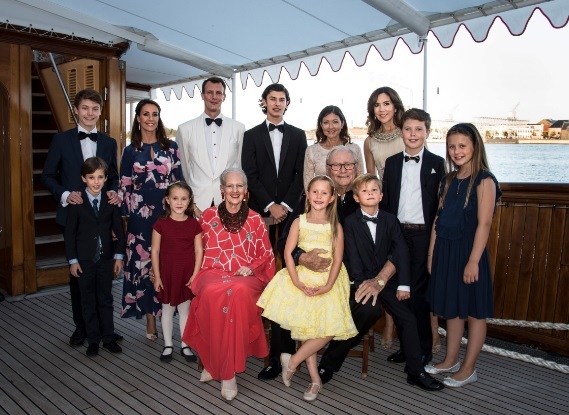 For Nikolai is the eldest grandchild of Danish Queen, Margrethe II, and his milestone birthday is a landmark for her, too. For there is something rather special about seeing your grandchildren entering adulthood. 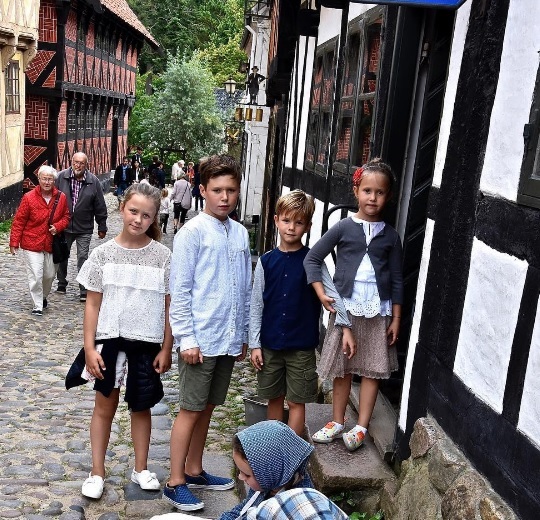 This is when Denmark's next royal generation comes of age. 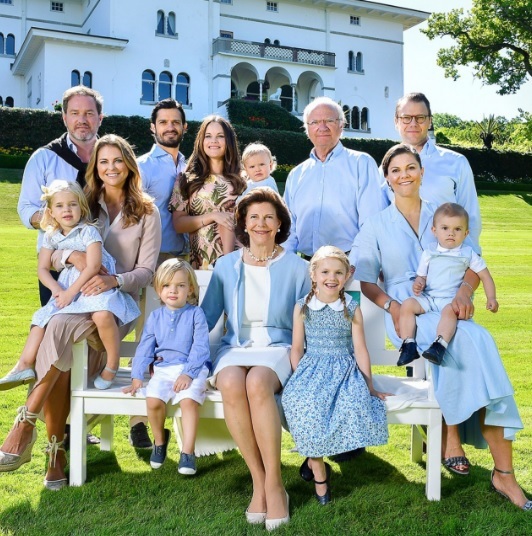 King Carl XVI Gustaf and Queen Silvia are awash with grandchildren. With just days to go until Prince Carl Philip and Princess Sofia welcome their second baby, the Swedish Royal Household has confirmed that Princess Madeleine is to be a mummy again. 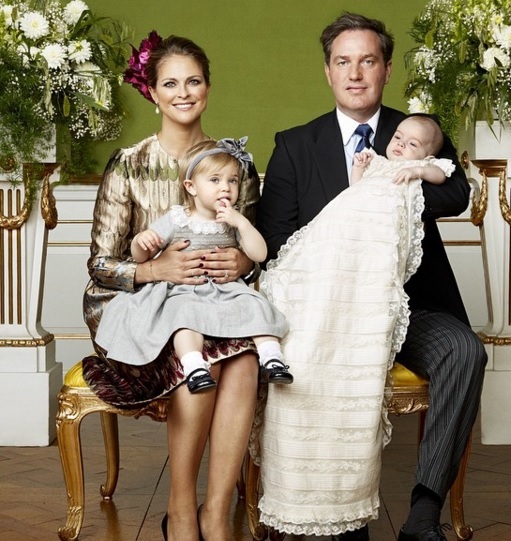 Madeleine's new baby will be grandchild number seven for the King and Queen of Sweden. Definitely lucky for them. 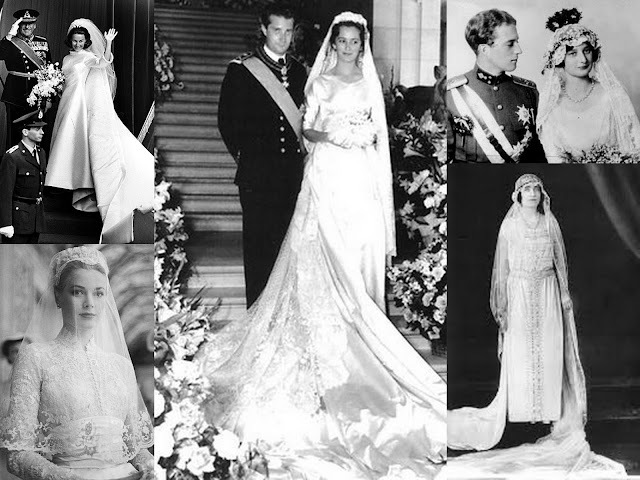 Norway's unexpected royal bride gave us an unexpected royal wedding dress and the gown, just like the princess who wore it, turned out to be a big success that stood the test of time. 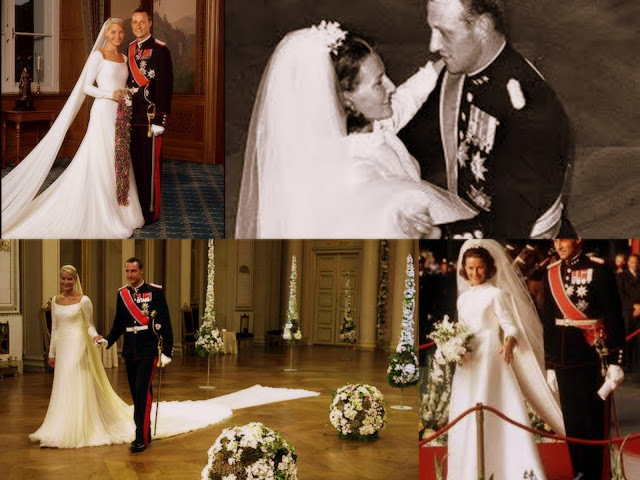 Mette-Marit Tjessem Hoiby said 'I do' to Crown Prince Haakon Magnus of Norway on August 25th 2001 in a dream of a dress that became an instant classic and remains one of the best loved royal wedding gowns of her generation. Here's a look back at the royal wedding dress of Norway's Crown Princess. The House of Windsor isn't known for being overly emotional. But in the run up to the 20th anniversary of the death of Diana, Princess of Wales, her sons have been talking openly about their loss. Now, ahead of a new BBC One documentary about the princess, William and Harry have also revealed how much their father and grandparents did to support them as they came to terms with the shock of Diana's death. Richard of York gave battle in vain. That's the rhyme for a rainbow that generations of British schoolchildren have learned but today it has particular resonance. 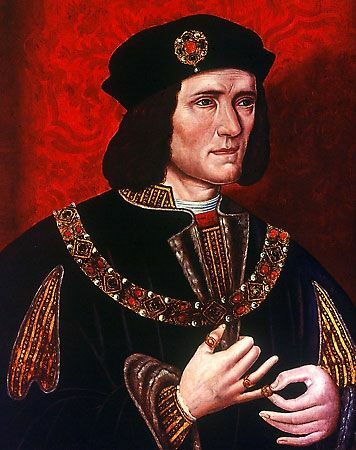 For on this day, in 1485, Richard really did give battle and lost his crown in the process. On the anniversary of the battle that ended the rule of the might Plantagenets and gave us the Tudors, below is a collection of links to some of the posts on the blog in the past few years about Richard, the king who conquered him, Henry VII, and the princess who should really have been the first regnant Queen of England, Elizabeth of York. 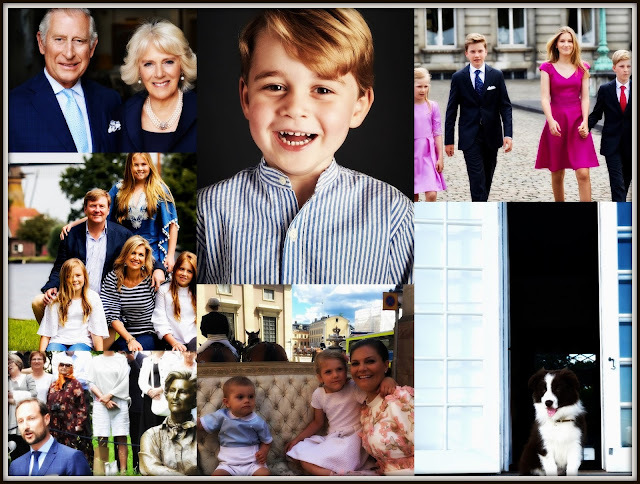 One royal week, all summed up in just five photos. 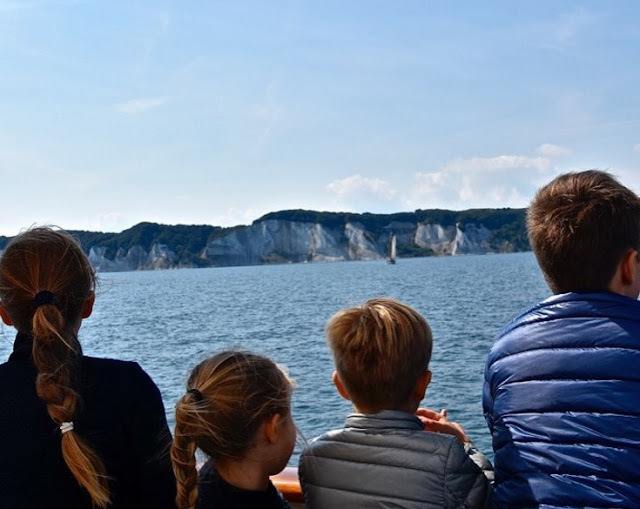 It's still quiet on the royal front with holidays dominating but we've had a flurry of activity - most of it in Denmark - and slowly the regal images are starting to appear again. 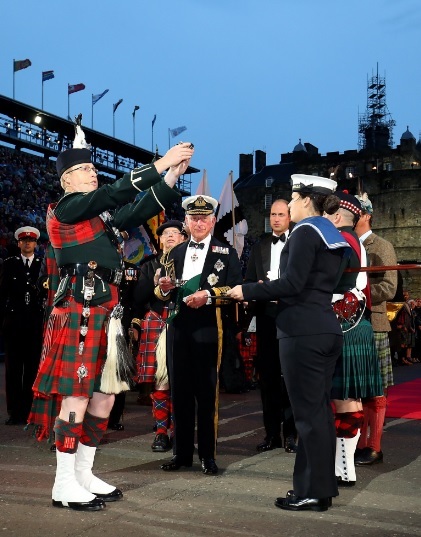 Here's a look back at the big royal events of the past seven days in five photos. Sir Bruce Forsyth, who has died at the age of 89, wasn't just a TV superstar. As well as fronting hits like Strictly Come Dancing, Play Your Cards Right and the Generation Game, Brucie was a legendary stage entertainer, too. And for decades, he could be found taking a bow before the royal box at one of the biggest spectacles of the year. 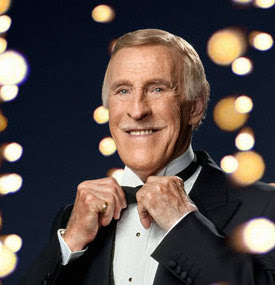 For Sir Bruce Forsyth was a sparkling part of the history of the Royal Variety Performance. 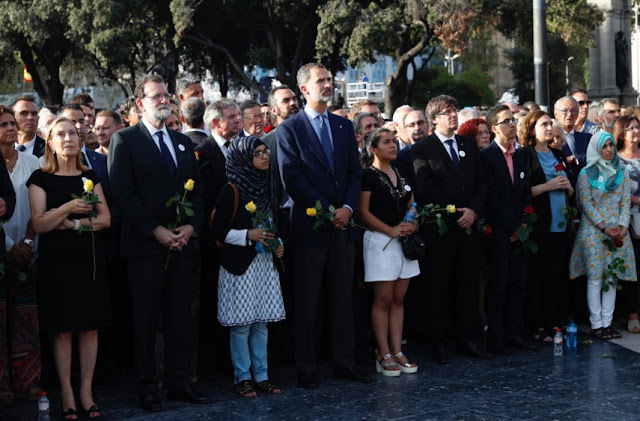 King Felipe has joined a minute's silence held in Barcelona today to remember those killed and injured in the terrorist attacks on Las Ramblas and in nearby Cambrils on August 17th 2017. 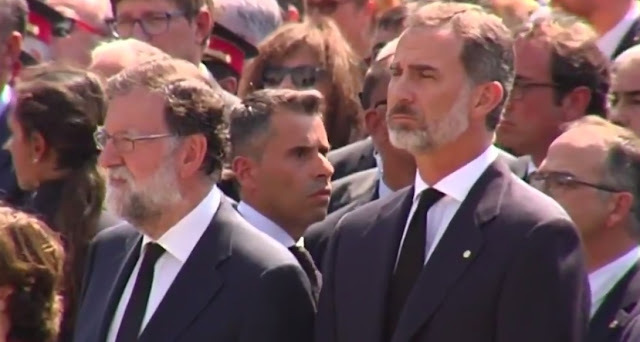 The King of Spain stood alongside his country's Prime Minister, Mariano Rajoy, and the President of the Generalitat of Catalonia, Carles Puigdemont, in the Plaza de Catalunya in the heart of Barcelona as thousands paid tribute. August has spinel and peridot as its birth stones and although we'll end the month with a look at some regal examples of those stones, there aren't enough to fill a whole four weeks of sparkly wonder. 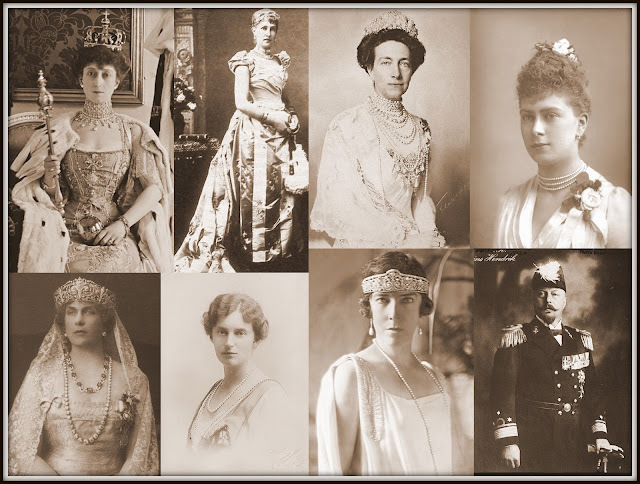 So this summer, we're taking a look at some of the tiaras that just don't fit anywhere else in the calendar of jewels including some of those made mainly of metal. Yes, metal. We've had a look at some of the golden additions to the modern European sparkle stash and now it's time to get really, well, metally, and start on the steel. 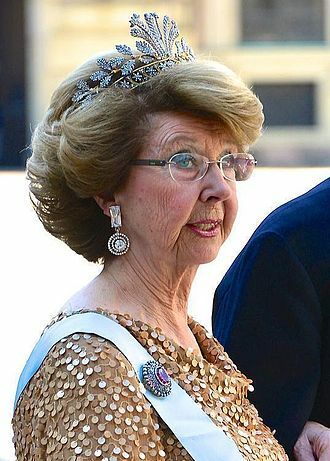 Sweden has two tiaras made of the stuff and they're both rather pretty. Here's a sparkle fest you weren't expecting, Steel for August. August is a chance to look at some of the gems that don't fit the calendar of jewels and golden pieces are right at the top of this sparkling list. Given that it's been associated with royalty for centuries. gold plays little part in the tiara collection of many royal houses but the ruling houses in Scandinavia are changing all that right now. 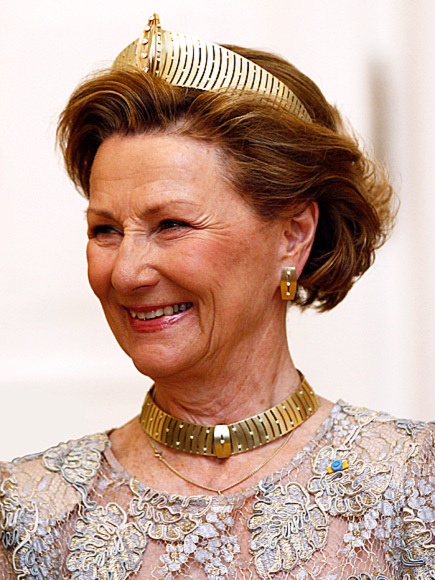 Queen Sonja was a bit of a trailblazer in that regard - meet her golden tiara, you won't forget it in a hurry. They sound as if they should be one of the prettiest modern additions to a royal jewellery box but this set of gem encrusted flowers is controversial and then some. 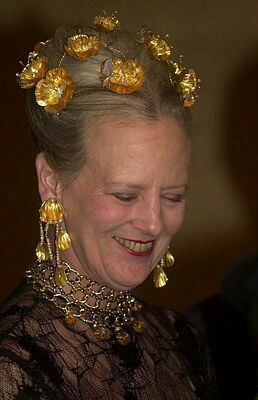 The Golden Poppies belonging to Queen Margrethe of Denmark are a modern take on the traditional head wear of royal ladies but these are a real love them or hate them set of jewels. Here is the most talked about of all the sets made of gold for August. The birthstones of August, peridot and spinel, are rarely used in royal jewellery but that doesn't mean the calendar of regal gems can just take a month off. The long, hot days of summer are perfect for mopping up some of the sparklers that don't fit anywhere else and where better to start than with a metal that is closely associated with royalty but rarely dominates tiaras - gold. 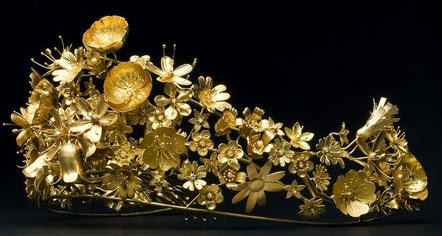 And if you want to find a gold tiara where else would you look than in the Danish royal jewellery box. Queen Margrethe never lets us down. This special series is looking back at the royalty of a century past. One hundred years ago, the regal map of Europe was very different with far more monarchies and ruling houses than we have now. 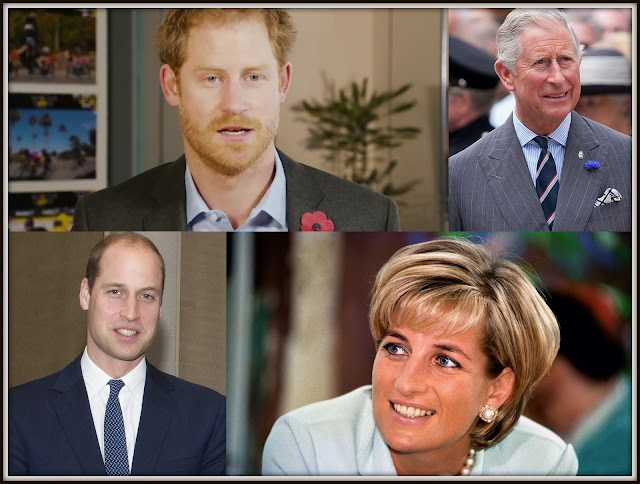 We're beginning our time travel with a glance with a who's who of the dynasties we know today, retrospectives on how the monarchies of 2017 were a whole century ago. We've already seen the rulers and their consorts, now it's time to look at the heirs. 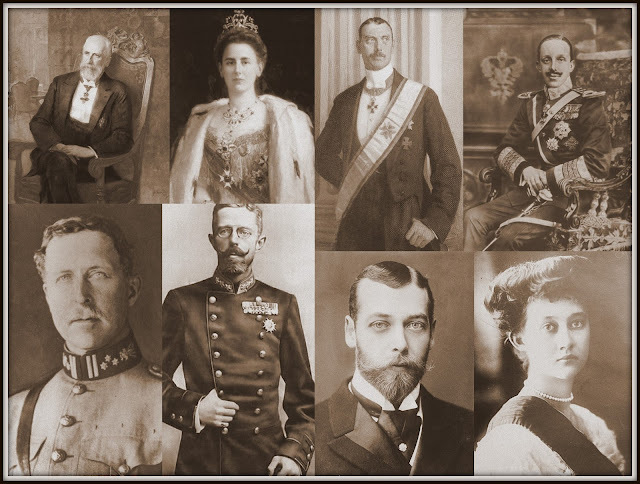 They're listed below according to how long they had been heir to their country's throne at the time. 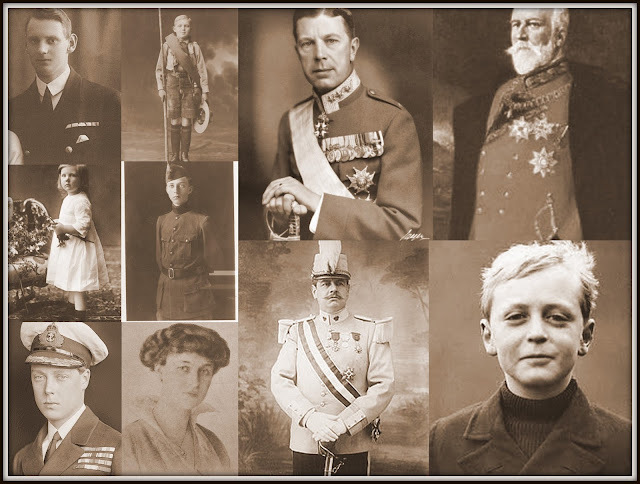 Kings to be with sad stories and a powerhouse of a queen regnant in the making follow...here are the heirs of 1917. It's been a quiet week on the royal front if you're not Prince Henrik of Denmark. In which case it's been an expose yourself to global ridicule kind of seven days. But let's ignore him, it's the best thing to do with hissy fitters. Instead, let's enjoy some of the best photos of a quiet-ish royal week. Despite the summer lull we had enough regal sightings to keep us busy for another few days. Here are some of the pictorial highlights. If ever there was a moment to keep quiet and carry on it was just after you'd made yourself a global laughing stock. Prince Henrik is having none of that. Days after getting everyone tutting and tittering by throwing the ultimate royal hissy fit and saying he wouldn't be buried next to his wife because he'd never been given the title of king consort, he's made things even worse. In an interview to be published in full tomorrow, Henrik is laying the blame at the feet of the Queen of Denmark. Keep calm and carry on. That motto has got many a monarchy out of a muddle and it's being put into good use in Denmark right now. As Prince Henrik keeps the world entertained as he rows with himself about where he's going to be buried, the next generation of royals is keeping it real. What better way to show the regal focus is on the country and not the contents of a still to be dug grave than getting out and about and being seen to do just that? Cue the Crown Prince and Princess of Denmark on a charm offensive. 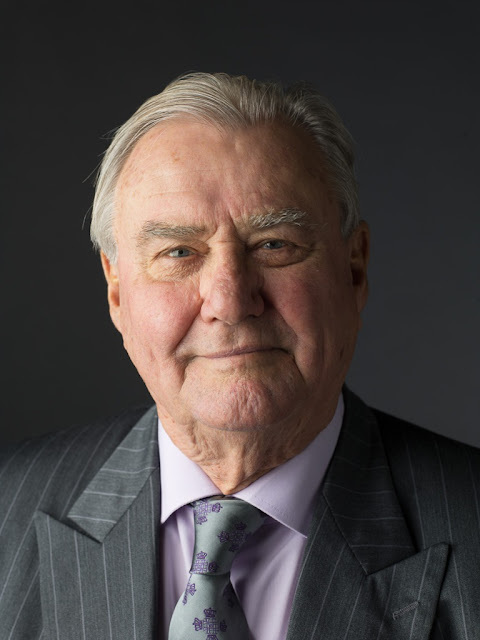 Prince Henrik of Denmark is nothing if not good value for money. Just when you think royal season has gone quiet on us, up he pops in a row of his own making that makes people laugh and shake their heads in equal measure. Henrik, now 83, has never got over the fact that his marriage to the Queen of Denmark makes him a prince and not a king. He's stropped off to France about it before, he's given endless and ultimately dull interviews about why he's so hard done by and now he's thrown the ultimate royal consort hissy fit and said he's not going to be buried with his wife when the time comes in protest. You've got to admit the man is trying. It's the image that summed up the day and you can place the credit firmly with one person. 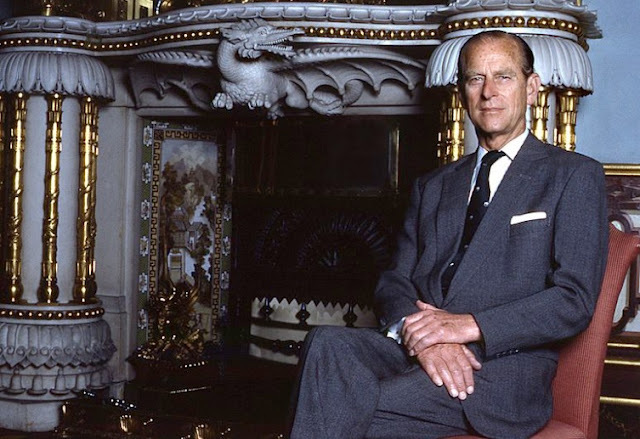 Since the moment he entered the Royal Family, 70 years ago, Prince Philip has shown a knack for handling the media. 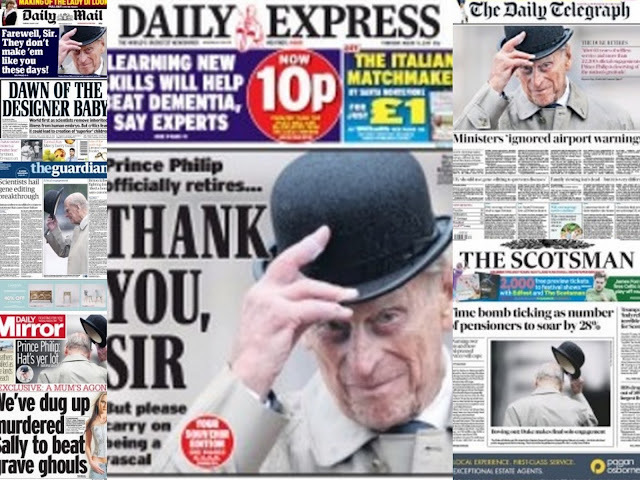 The photo of him tipping his hat during his final public engagement on August 2nd 2017 has made the front page of just about every UK paper and there's a reason for that. It sums up the story of the Duke of Edinburgh retiring perfectly and the man himself knows that better than anyone. Life goes on. All eyes might have been on Prince Philip as he retired from public life with a final solo engagement at Buckingham Palace on August 2nd 2017, but other royals were marching into the future as the curtain fell. On the day that the Duke of Edinburgh retired from public life, there was a handful of royal appearances across the continent. Here's what other royals did on a day for the history books. In the end, there was no other way to say goodbye. As the Duke of Edinburgh walked back into Buckingham Palace at the end of his final solo public engagement, the band broke into 'For He's a Jolly Good Fellow'. And so say all of us. The Duke of Edinburgh carries out his final public engagement today ahead of his retirement. 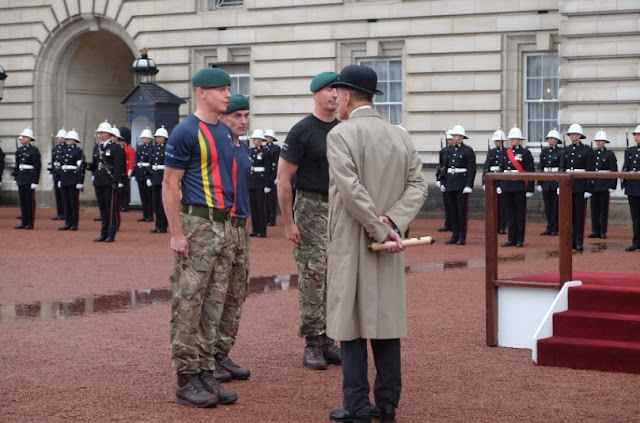 Prince Philip will attend a parade at Buckingham Palace to mark the end of a challenge for the Royal Marines which celebrates their strength and endurance. It will be the end of an era. 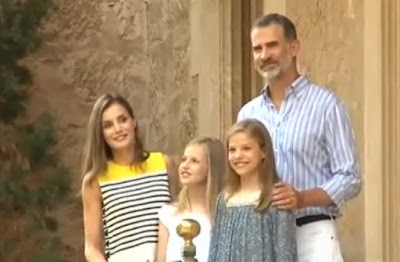 It really is royal holiday season when you spot a Spanish royals in the fading Mallorcan sun. Put a monarch on the steps of the Marivent Palace there and you have a fanfare like no other to say that the summer break is well and truly upon us. So grab your sunnies and a big hat, Felipe has been prowling his palatial holiday home for a photocall which can only mean one thing. Summer starts right here. August is traditionally quiet on the royal front. The summer holidays beckon and as the rest of us head off for a bit of a break, the royals do exactly the same leaving a great big gaping hole where the photos, smiles and appearances usually go. But that's not to say a royal fix will be hard in August because it's also a bumper month for birthdays. Get the cards ready, here are 12 royals who will be celebrating in August.